You guys are awesome! I love love love the way you are caring for your hard working hands. Thank you for sharing with all of us. 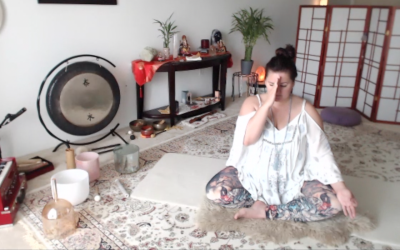 Here’s a recap of Day 2 of MELTed Self Care Instagram Challenge and Day 16 of Flow It Together Instagram Yoga Challenge. Snap a pic of the MELT Hand Treatment or your favorite hand/wrist stretch! I LOVE the MELT hand treatment. Its so lovely to do after I’ve been working a lot on the computer – it helps to clear out the congestion in my arm lines. I also always do it before dance or yoga so my body has better communication at a neurological level! Hands are a the place to start if you have neck pain. What do you love about the hands and how do you care for yours? It’s easy to take our hands for granted, but we use them for everything from small tasks like typing to larger tasks like carrying our little ones and supporting ourselves in advanced moves like handstands and backbends. Since the hands have so many nerve endings, when we treat them, we can indirectly create positive change in other areas of the body like the mid back, shoulders and neck. We LOVE the hand treatment (and hope you do too! ), but what’s your favorite way to give your hands a little TLC? Day 16 of #flowittogether is #virabhadrasanaII –#warriorII. This has always been a favorite pose of mine. I love the way it opens me to the energies of strength and grace. Today I’m reminded its the small things that matter . . .